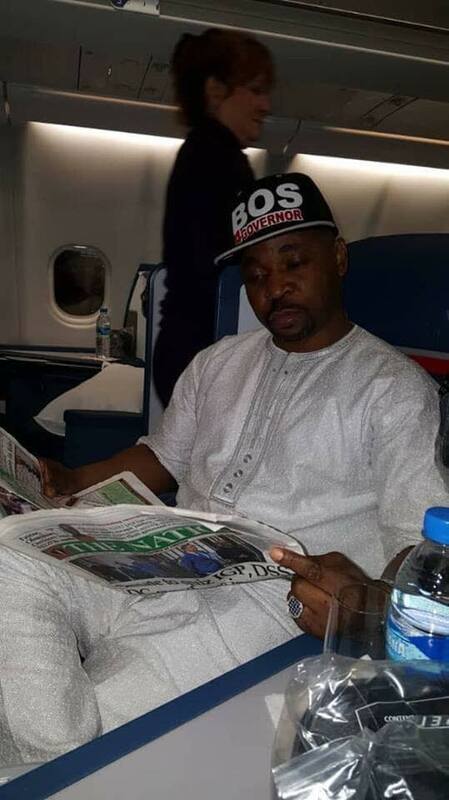 A popular member of the National Union of Road Transport Workers, MC Oluomo has been pictured inside a plane on his way to US after being stabbed. 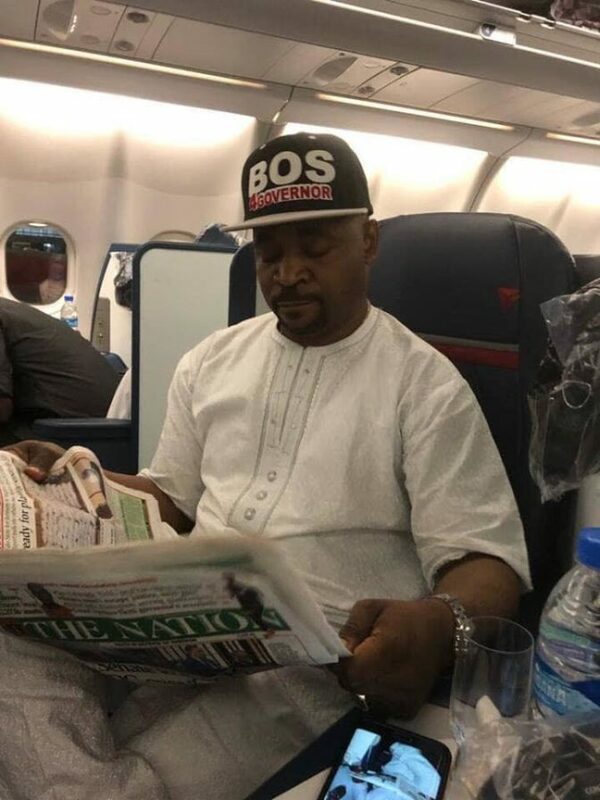 The treasurer of National Union of Road Transport Workers Lagos state chapter, Alhaji Musiliu Akinsanya popularly known as MC Oluomo has left Lagos for United State of America, aboard Delta airline. He was discharged on Tuesday from Eko Hospital after being attacked at an All Progressives Congress (APC) rally in Ikeja on January 8. He traveled to the US for more medical examination and possible treatment. The treatment is to ascertain that all is well with him after he was stabbed and to also get enough rest. He is being accompanied on the trip by his doctor and another relation.